Hair we go again- the Revlon Uniq One All in One Hair Treatment- tried and tested! 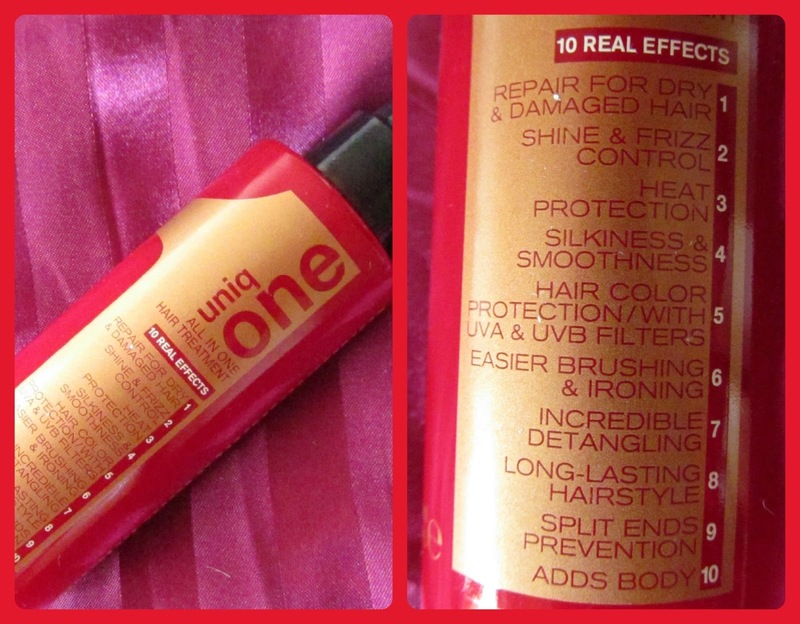 I picked this Revlon Uniq One All in One Hair Treatment at the Irish Beauty Show at the RDS last month, and I have been using it pretty much every day since to try it out. I heard many great things about this product before I purchased it, and had spent a while eyeballing it in my local Terrisales, but never quite committed. All it took was a very persuasive man with a twinkle in his eye to assess that this would keep my unruly mane somewhat tame and I was sold. The product itself is a thick cream that comes out of a spray nozzle. I remember thinking when I got this and tried to give it a good shake that I got a bad one that formed into a solid mass, but no, it's actually just the formulation of the product. I use about six or seven squirts of this on my thick mane everytime I wash it, just before I comb it through with a Tangle Teezer. I do not notice any residue or buildup, it doesn't change the colour of my hair like some treatments can do, and it does not weigh down my hair and make it look greasy. As you can see from the packaging itself, it promises to work 10 miracles on your hair. I'll go through each one by one remarking on whether I noticed a corresponding change in my hair in the last month. Be warned however if it sounds a little repetitious, one of the peeves I have is that half of the benefits and promises of this product are duplicated!! My hair is very dry and damaged but I have actually noticed that it looks less damaged in recent weeks than it usually does. The ends of my hair do not look as tatty (I get an inch taken off my hair every four weeks because it turns to tatt!) and I am noticing less breakage overall and less hairs snapping on my clothes. Unfortunately, bleached hair does not tend to shine and I have highlighted every strand on my head so I didn't hold out much hope for this, and it would be unfair to dock it marks on this basis. I have noticed that it is less frizzy, particularly after I blowdry it. Again, I use a lot of heat products on my hair and I have noticed way less damage and snapping than usual. I definitely think I get a smoother finish when I use this after straightening my hair. I use purple shampoos all the time to combat brassiness so I cannot really comment on how this helped the colour in my hair. 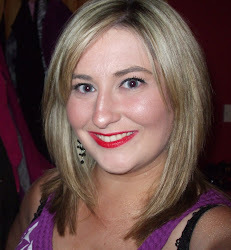 My hair hasn't turned brassy but I don't think I can give this product all the credit! Definitely noticed this- I can get the Tangle Teezer through my hair quite easily compared to the struggles I used to have. Also, I don't have to go over each individual section of hair as much as I used to either. Again, to avoid repetition, definitely less tangles and knots in my hair when I spray this post shower. My hair always holds a curl well but doesn't stay straight well- this has helped me enormously, my hair is as straight in the evenings coming home from work as it was in the mornings going to work! Definitely noticed the ends of my hair are less frazzled and I am trying to grow my layers down and they look far less damaged than they normally would one month after getting a cut. Honestly, I cannot really vouch for this because my hair has quite a bit of body all by itself anyway! So there you have it. I am a haircare snob through and through, but this has definitely impressed me, and I would repurchase. I think it's a real gem of a product, I like that it is quite thick, but I have very dry, thick hair that has been colour treated and is constantly heat styled- I feel like Revlon was just waiting to pounce on a hair twit like me- so if your hair is not in particularly bad nick, I'm not sure you'll feel the full benefits of this. Overall, I like it and I would recommend it, and if anybody else has tried this, I would love to hear how you got on! I haven't tried this but I'm always looking for new hair products. Great review :) xoxo. My hair is terribly coarse, wild and dry. Having washed my very thick hair I went to the hair dresser in a state of panic as I looked like the wild woman of Borneo....I asked her to dry cut my fringe and then take off an inch or so from the bottom (it is almost to my waist). I had a dry cut due to the fact I had an hour before I was due to leave for my daughters engagement. Quickly the job was done and then the stylist squirted 3/4 pumps of this product on my hair and ran a brush quickly through it! It immediately smelled amazing and much softer... The straightening irons were QUICKLY run through my hair, which ordinarily takes an age to and wow my hair was straight, with really good movement, it was soft and shiny... After a night at a party it still looked great in the a.m and with only using my straighteners two days later the style held for 6 days...THIS NEVER happened before! So today I went to stylist and purchased my own bottle because for me and my wild, thick, coarse hair this stuff truly transformed my hair. It is in my opinion a wonderful addition to anyone's styling/care pack ... My hair hasnt felt or looked this good since my 20's and I am now a 45 yr old grandma with happy hair!!!!! What the devil is a Terrisales??! Tried the product for the first time yesterday and loved it, definitely gonna buy it - by far the best hair product I've used in a long while!